From far back, scaffolding looks like a maze of steel pipes that surrounds a property or building. But if you look more closely you will understand that it is complicated and that precision engineering is at work behind the maze. It is understood that scaffolding originally came from ancient North Africa and China. A Greek wine container, also known as a kylix dated as far back as the fifth century, includes an image of a figure of a warrior inside the scaffolding. Scaffolding now is largely constructed of metal pipes. But even now in some areas of Asia, scaffolding, believe it or not, is made up of bamboo and is used when building extremely tall skyscrapers, which is scary too think. Until the 20th century, scaffolding was built mainly of wood. However, shortages in the quantity of wood in numerous regions urged companies to look for other sources. W.A. de Vigier is recognized for creating an adaptable steel prop that transformed scaffolding patterns all over the world. This steel prop creates the foundation of trench sheeting and falsework, support slab formwork, and wall formwork. The most famous scaffold architect in history is apparently Michelangelo, the famous painter, sculptor, and architect. The scaffold that he had created to paint the ceiling of the Sistine Chapel is a conversation piece in itself. 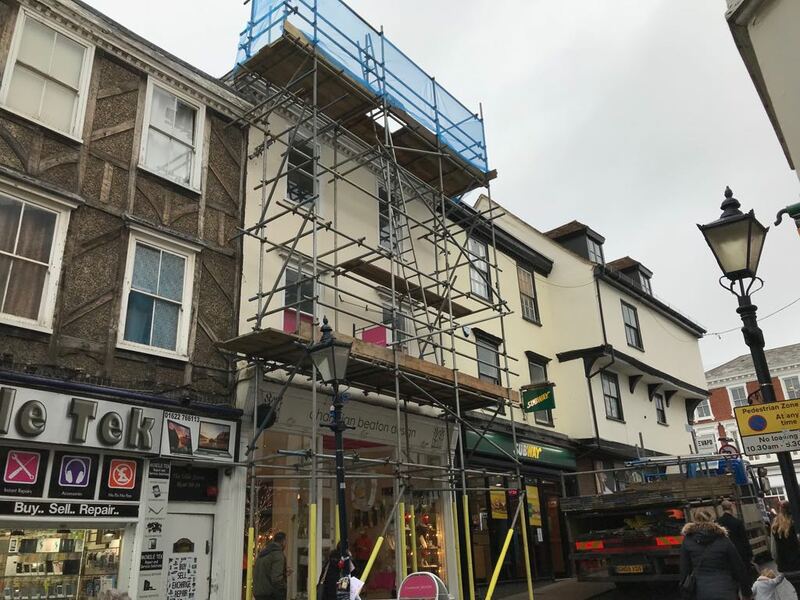 A Taylor Scaffolding Tunbridge Wells has grown and developed into an extremely strong and capable scaffolding company catering for all Domestic and Commercial clients across Tunbridge Wells, Tonbridge, Sevenoaks, Heathfield, Hawkhurst, Cranbrook and surrounding areas.